The upgrade consists in the whole substitution of the rubber wheel of the cardboard store. the wheels were pushed onto the cardboard by a spring and were fixed with a lever (green part in picture no.1). This device required manual adjustments for each wheel during every format change or after a jam, which caused waste of time; moreover, there was the risk of different regulations depending on the different skills of each operator, which might affect the machine performance. 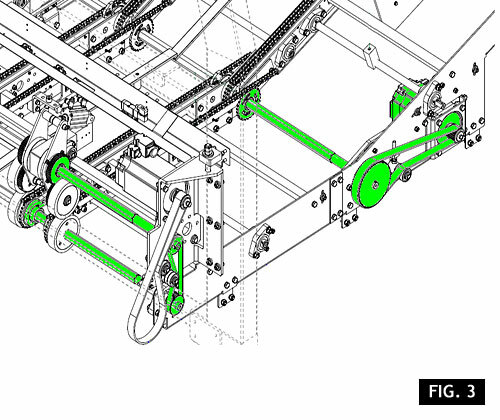 The new device has been implemented with a pneumatic circuit that moves the rubber wheels up and down by means of air pistons (in the green square, picture no.2), thus avoiding human errors. The cylinder also ensures an homogeneous pressure and a correct advancement of the blank, because the traction is the same on all cardboard sides. 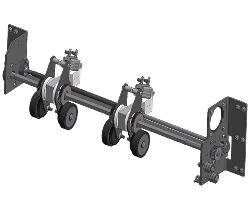 The elimination of the compression spring in favour of a cylinder also ensures more stability for the system and prevents frequent maintenance interventions to replace this element that is constantly worn, due to the constant stress to which it is subject. Another important innovation introduced by this retrofitting consists in the motorization of all wheels which pick up the cardboard, ensuring maximum friction and a constant supply to the blank climb and preventing any kind of lock. 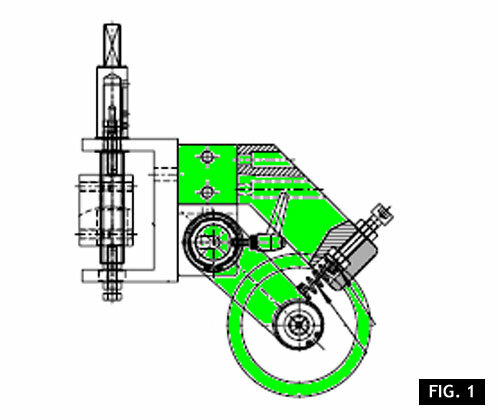 The transmission is derived from the blank climb by means of a belt system (green part, picture no.3), thus avoiding the use of additional motors and therefore the increase of energy consumption. 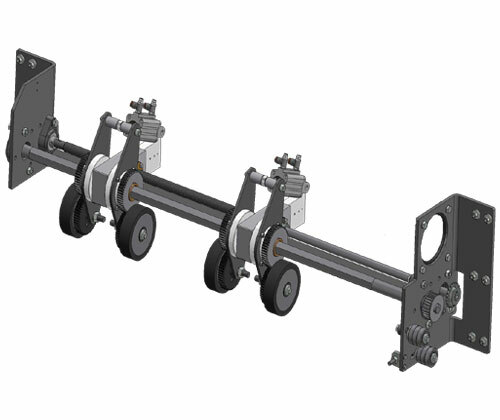 The mechanical parts will be supplied together with a new POSYC(HMI) and a new MARTS (PLC), equipped with a new software interface revised both in the graphics layout and in some process routines. 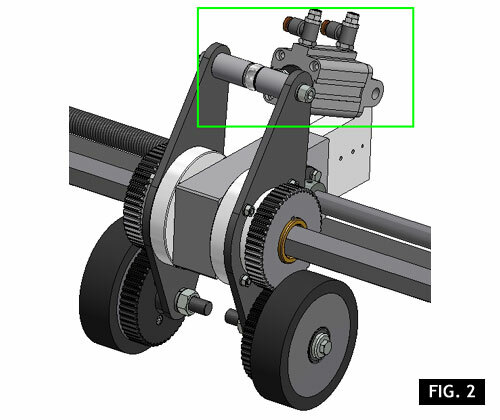 It is recommended to integrate this upgrade with the ZF010023, if not already present on the machine, in order to optimize the intervention time for assembling the new solutions. If not specified, this offer does not include installation and commissioning of the group. Machine database to be supplied, in order to allow the software upgrade without losing format customization. The feasibility of the upgrade has to be checked by SMI technical department. - Top efficiency for the entire life of the components.